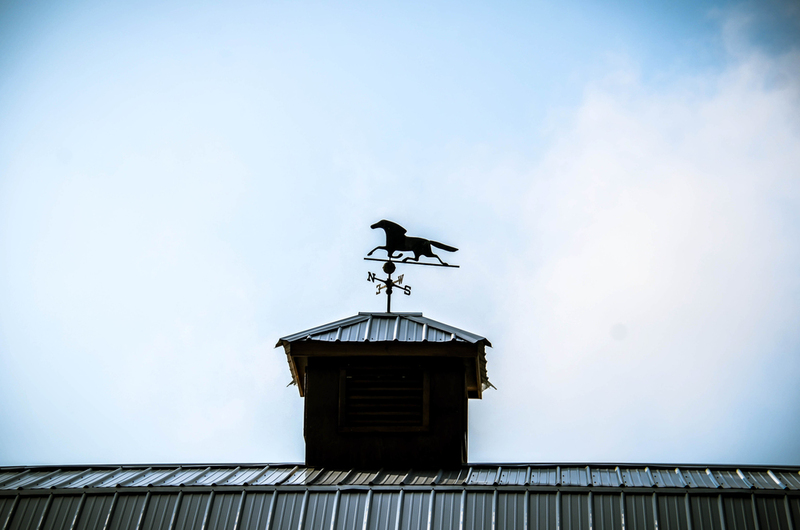 Sweetdaddy’s Barn is our main working barn at Pine Knoll Farms. 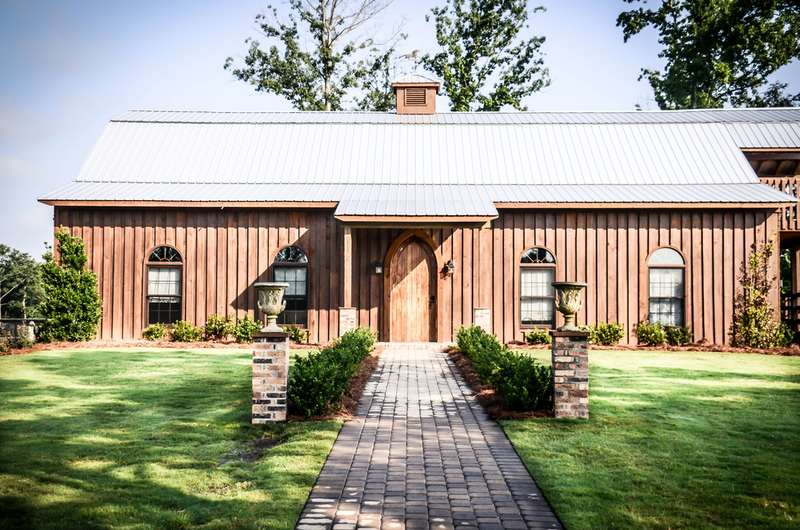 In addition to the necessities for a working barn, it also has a kitchen with a large stovetop and oven, stainless prep tables, a large refrigerator, and a dish sink The barn is climate-controlled, with one full bath and two half baths. 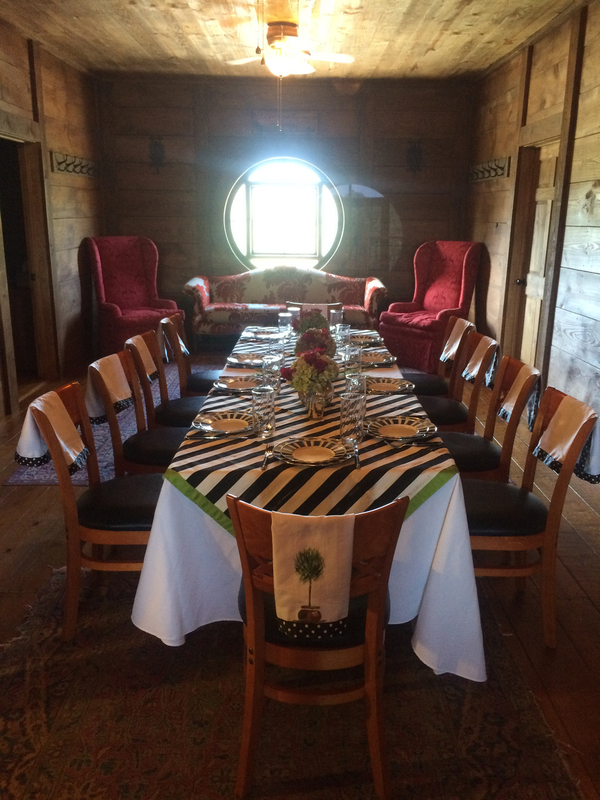 It also has a large loft area with an antique round window overlooking our horse pastures and a balcony overlooking our cattle pastures that is perfect for a rehearsal dinner. The upstairs area has 50 chairs and assorted tables. There is ample room for the wedding party to dress upstairs in the loft, and downstairs in the Tack Room. The front lawn also makes a gorgeous backdrop for a wedding ceremony with a large 18th century church door from England.